April 7, 2015 – Volunteers from a number of the Salt Lake-based cycling teams are coming together on the morning of Saturday, May 2nd to clean up the trash and debris from the Emigration Canyon roadside. The clean-up, which they hope to make an annual event, will cover the full eight miles of the canyon from its entrance near Hogle Zoo to Little Mountain. It will be divided into four two-mile segments, with approximately 30 cyclists expected to participate in four clean-up teams. According to Howard Young, who rides with Barbacoa/Mi Doule and is spearheading the effort, its an opportunity for the cycling community to show its love for the canyon. 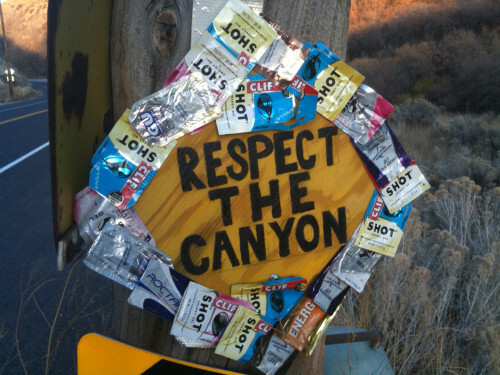 “Who would be more appropriate to take an active guardianship over the canyon then the local cyclists, who are its most frequent and appreciative guests.” He also noted that it’s an opportunity to thank the residents of the canyon, who at times begrudgingly endure the cyclists presence, and develop some much-needed goodwill. Intermountain Bobcat has agreed to supply trucks and a road sweeper in support of the clean-up, and Barbacoa Mexican Grill is rewarding the volunteers with a free lunch at the mid-canyon fire station. Volunteers are being solicited through the cycling clubs, but others who would like to participate can reach out by e-mail to Howard Young at [email protected].